He is Hollywood’s most fascinating and timeless star. Although he came to personify the debonair American, Cary Grant was born Archibald Leach on January 18, 1904, in the seaport village of Bristol, England. Combining the captivating beauty of silent-screen legend Rudolph Valentino with the masculine irresistibility of Clark Gable, Grant emerged as Hollywood’s quintessential leading man. Today, “the man from dream city,” as critic Pauline Kael once described him, remains forever young, an icon of quick wit, romantic charm, and urbane sophistication, the epitome of male physical perfection. Yet beneath this idealized movie image was a conflicted man struggling to balance fame with a desire for an intensely private life separate from the “Cary Grant” persona celebrated by directors and movie studios. 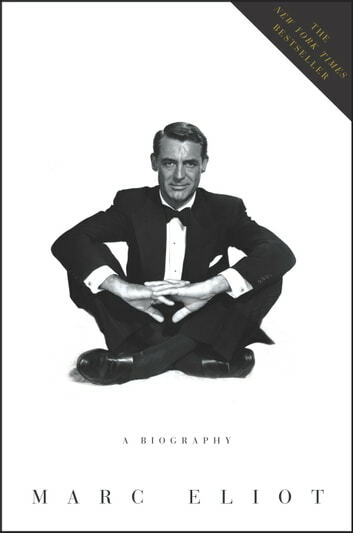 Exploring Grant’s troubled childhood, ambiguous sexuality, and lifelong insecurities as well as the magical amalgam of characteristics that allowed him to remain Hollywood’s favorite romantic lead for more than thirty-five years, Cary Grant is the definitive examination of every aspect of Grant’s professional and private life, and the first to reveal the man behind the movie star. Working with the most talented directors of his time, Grant starred in an astonishing seventy-two films, ranging from his groundbreaking comedic roles in such classics as Bringing Up Baby (Howard Hawks) and The Philadelphia Story (George Cukor) to the darker, unforgettable characters of Alfred Hitchcock’s Suspicion and Notorious, culminating in the consummate sophisticates of An Affair to Remember (Leo McCarey), North by Northwest (Hitchcock), and Charade (Stanley Donen). The camera loved Grant, and his magnetism helped illuminate his leading ladies, some of the most glamorous women ever to grace the silver screen: Mae West, Irene Dunne, Katharine Hepburn, Ingrid Bergman, Grace Kelly, and Sophia Loren, among others. Yet, because of his pioneering role as an independent player, Grant was repeatedly denied the Oscar he coveted—a snub from the Academy that would last until 1970, when he graciously accepted a special lifetime achievement award. Grant’s sparkling image on-screen hid a tumultuous personal life that he tried desperately to keep out of the public eye, including his controversial eleven-year relationship with Randolph Scott, five marriages, and numerous affairs. 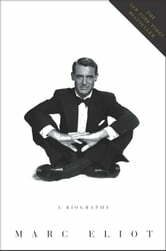 Rigorously researched and elegantly written, Cary Grant: A Biography is a complete, nuanced portrait of the greatest Hollywood star in cinema history.